Paris has it it all: it is France's capital, a major European city and a global center for art, fashion, gastronomy and culture. Just 15 minutes from the Eiffel tower, Paris convention center is not only ideally located for maximum impact, but once the show is over, you can get straight to sightseeing. Fly into Paris Charles de Gaulle and get the train or bus into the heart of the city. There are no unusual restrictions what you can bring into France, but it’s best to check the list, just in case. 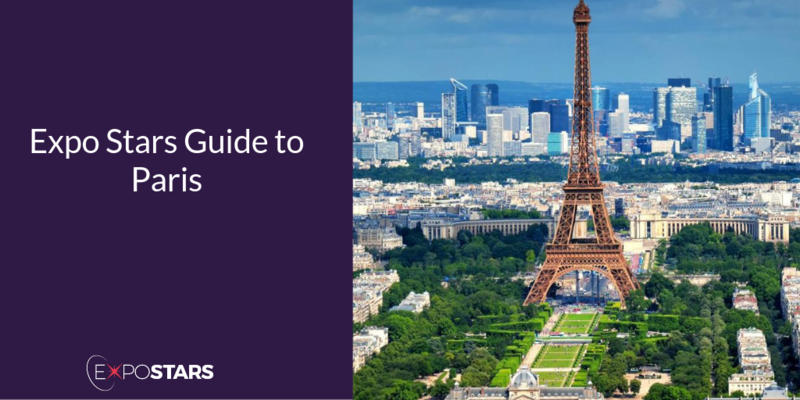 Paris has a well deserved romantic reputation, if you have time wander the streets and soak up the atmosphere but be sure you get a glimpse of some of the most famous locations in the world. L'Abeille. This Michelin starred restaurant mixes grand ingredients and plenty of vegetables; think John Dory with beetroot juice, or rabbit with Swiss chard and truffles. Pierre Gagnaire. An eclectic mix of fantastic food: try the tuna meringue or a clam with diced veg. Plug sockets are the European two prong style. In France it is vital to ensure that you make appointments for both business and social occasions. It is not acceptable in France to ‘drop in’. Punctuality is treated quite casually. Gift-giving among business associates is not common practice in France. The Paris expo Porte de Versailles is an exhibition centre in Paris, France. It is located in the 15ème at Porte de Versailles between the Boulevard Périphérique and Boulevards des Maréchaux. It is the largest exhibition park in France. The Palais des congrès de Paris is a concert venue, convention centre and shopping mall in the 17th arrondissement of Paris, France. The venue was built by French architect Guillaume Gillet, and was inaugurated in 1974. The Parc des expositions de Paris-Nord Villepinte is a large convention center located in Villepinte near Paris-Charles de Gaulle Airport. The center opened in 1982 and is the second-largest in France. The Parc des Expositions Paris is an exhibition centre in Paris, France.